The Obama Administration not only pushed through the Iran deal in violation of federal law but also most likely tried to set up Israel and the Trump Campaign and Administration at the same time. The Obama Administration’s efforts to sign and implement a nuclear agreement with Iran with limited if any congressional input, and at times in violation of federal law, is a particularly important example of Democratic constitu­tional hardball. This particular example failed to make it into books and essays critical of the Obama Administration, including Lawless, because it played out toward the end of the Administration, and many of the details of the Administration’s hardball tactics became matters of public knowledge and controversy only after President Obama had left office. To sell the deal, the Administration found it necessary to lie to the American public about its origins. The Administration began secret negoti­a­tions with Iran in mid-2012. 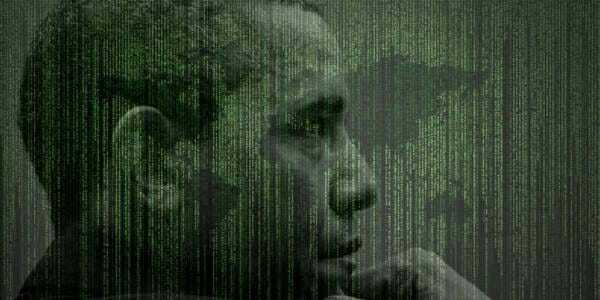 The Obama Administration also spied on U.S. opponents of the Iran deal, both in Congress and in private pro-Israel organizations. Pro-Israel activists reported that the Administration seemed to know exactly what they were saying and doing, and acted accordingly. There have also been serious allegations that the Obama Administration undermined federal law enforcement efforts against the Hezbollah terrorist group to placate Hezbollah’s Iranian backers. The US spied on the Israeli prime minister, Binyamin Netanyahu, because of concerns he would derail the Iran nuclear deal, according to a new account of surveillance operations. Despite Barack Obama’s promise to curtail eavesdropping on allies in the wake of the Edward Snowden revelations about the scale and scope of US activities, the National Security Agency’s (NSA) surveillance included phone conversations between top Israeli officials, US congressmen and American-Jewish groups, according to the Wall Street Journal. This year the Mainstream Media reported through “a source” that the Trump team hired an Israeli outfit to find dirt on the Obama Administration related to the Iran deal. The outfit by the name of Black Cube denied that the Trump team had anything to do with their work in this matter. Also,Trump volunteer George Papadopoulos reported that he was handed $10,000 in 2017 in Israel and he now believes that this may have been a setup where the Deep State tried to implicate the Trump team, through him, to Israel in illegal activities. After being handed the money in Israel, when Papadopoulos landed in the US, he was held against his will before he passed through customs and all his belongings were searched for what he now believes was the $10,000. Fortunately for Papadopoulos, he left the money with an attorney in Europe. We may never know how many people did Obama’s Deep State has illegally spied on or framed. The list must be astounding!